Put on your garden party best and join us for the first Official State Ceremony of the year! 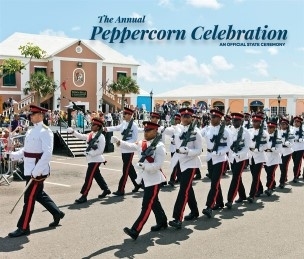 When Bermuda’s capital moved to the City of Hamilton in 1815, Bermuda’s oldest surviving building and the island's first House of Parliament and Courthouse, the State House, became the headquarters of the Freemasons Lodge after striking a deal, with the then-governor to pay one peppercorn a year for rent! This event is full of pomp, circumstance and old British tradition, so ladies don't forget your hats with recommended cocktail attire. For additional information please contact the Bermuda Tourism Authority at 296-9200.